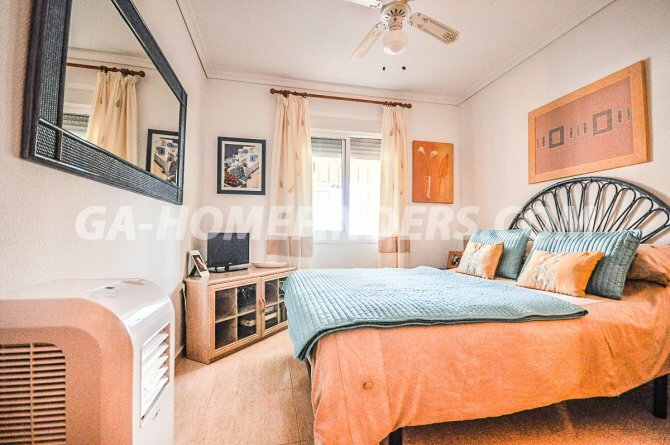 Ground floor corner apartment with 2 bedrooms and 1 bathroom, furnished and with kitchen appliances, american style open plan kitchen, enclosed utility room, ceiling fans, built in wardrobes in all the bedrooms, blinds on all the windows, security grills on all the windows. 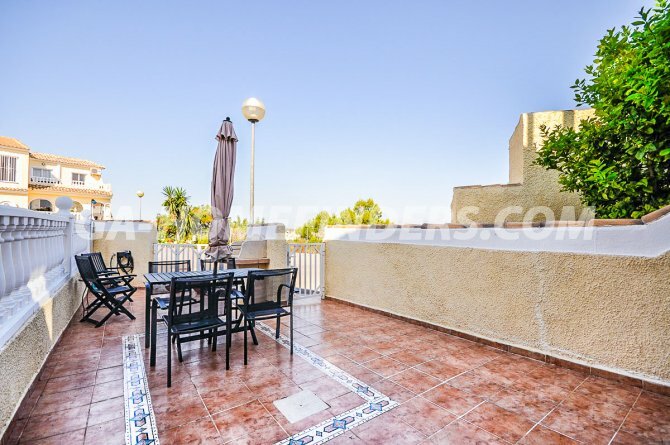 Glazed in terrace from which there are lovely views. 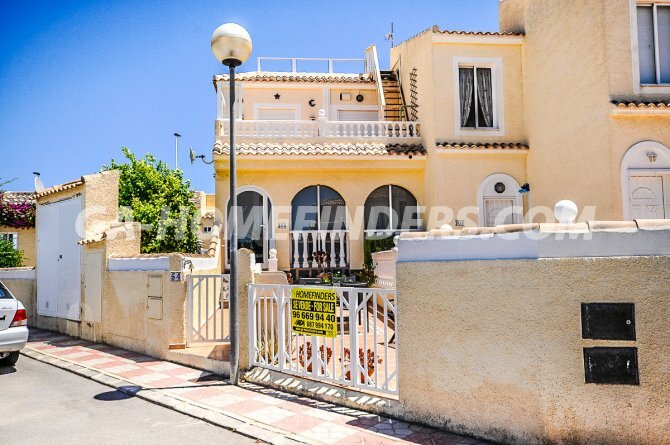 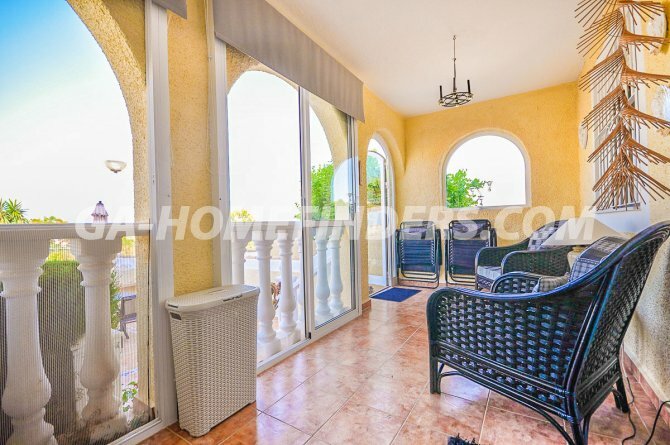 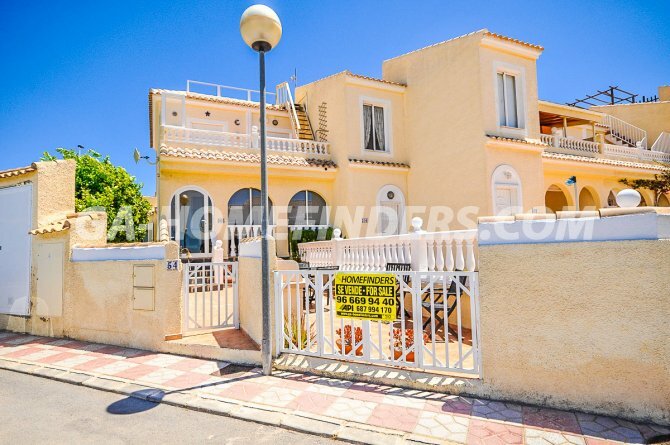 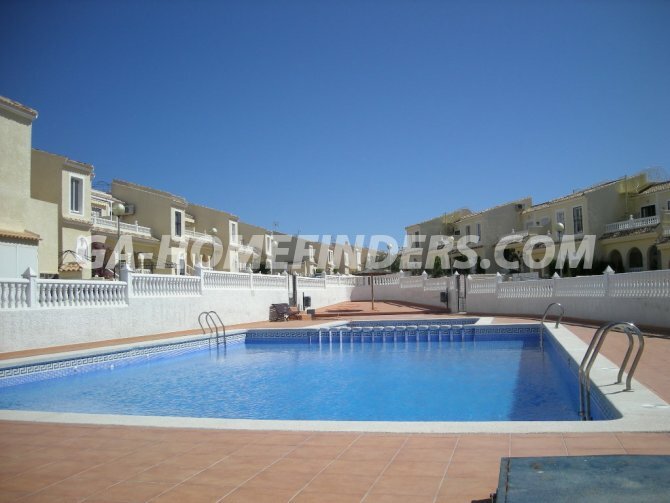 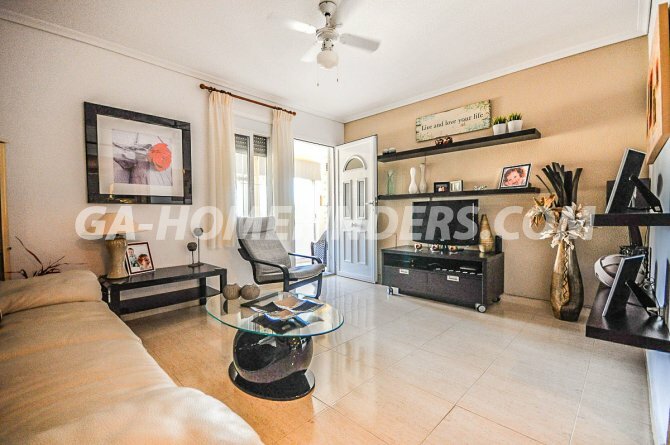 Located in a gated urbanisation with communal swimming pool. 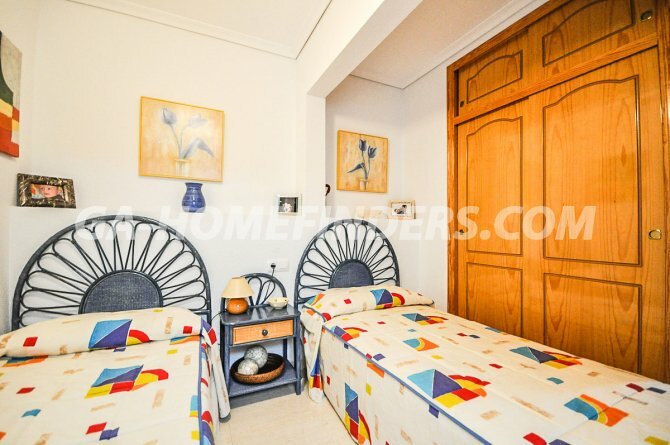 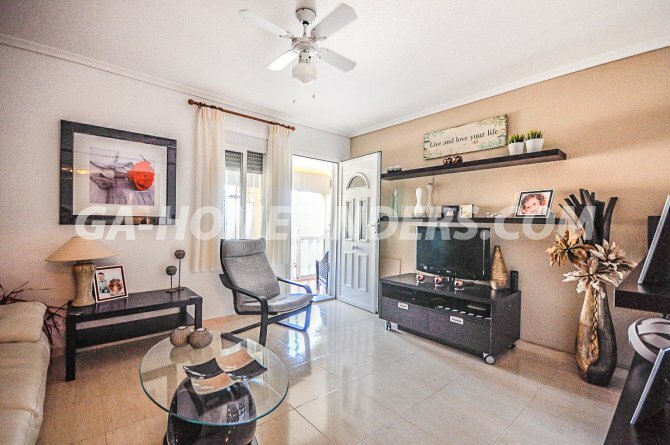 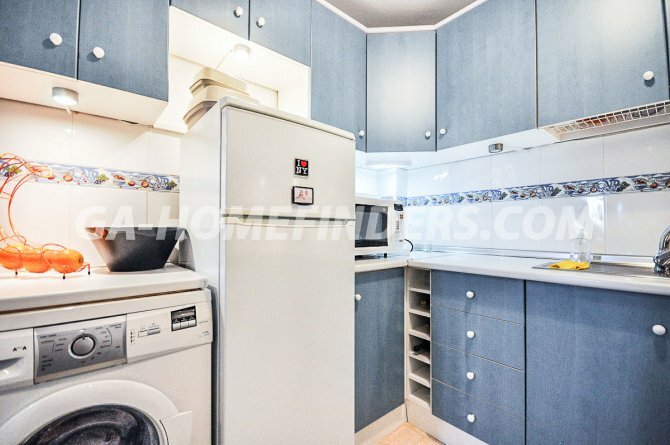 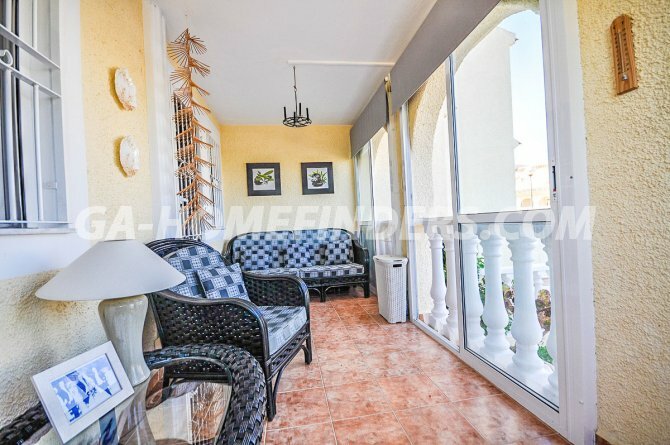 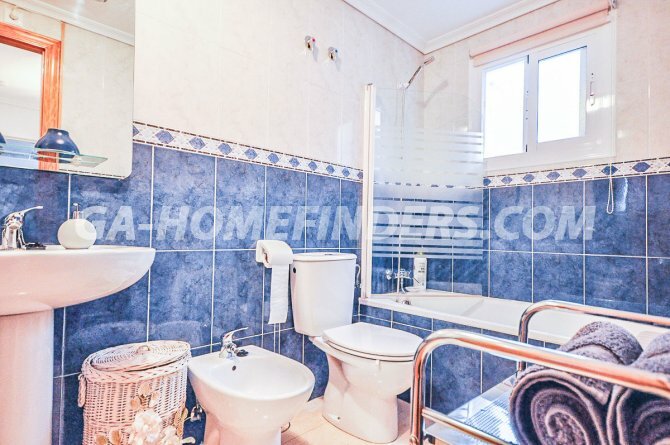 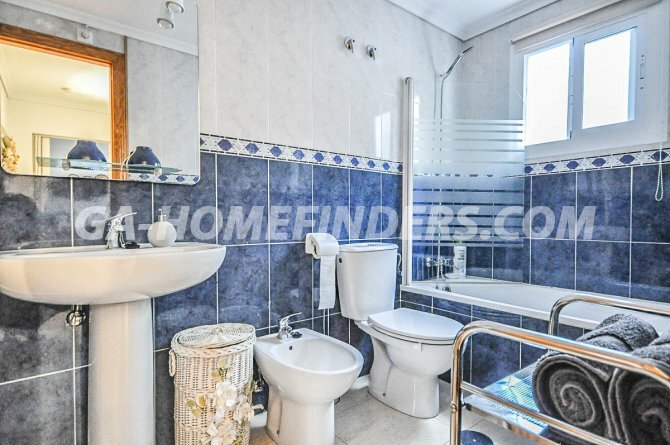 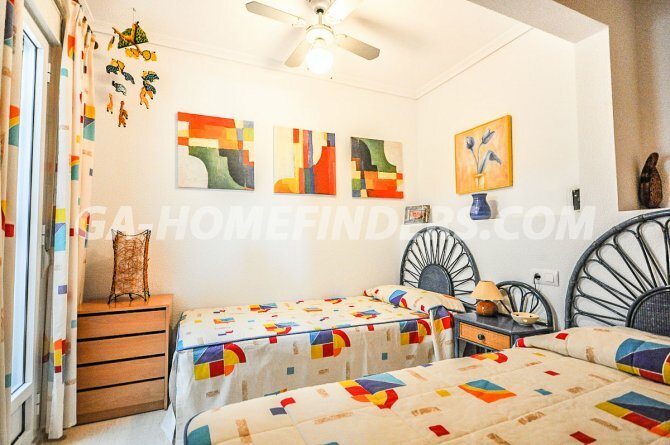 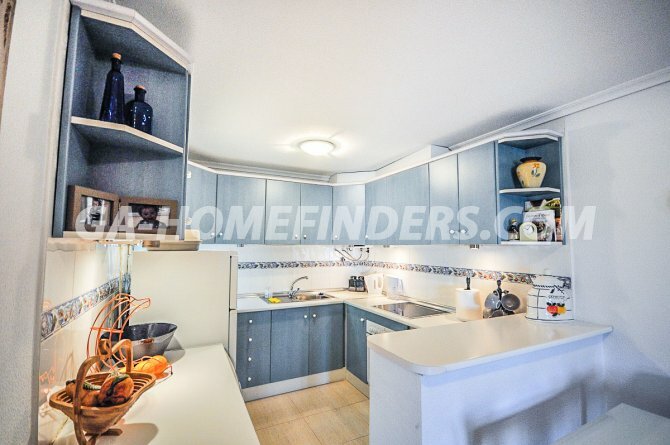 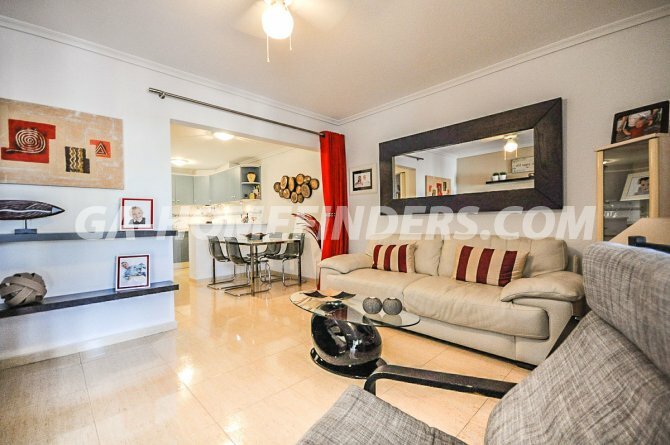 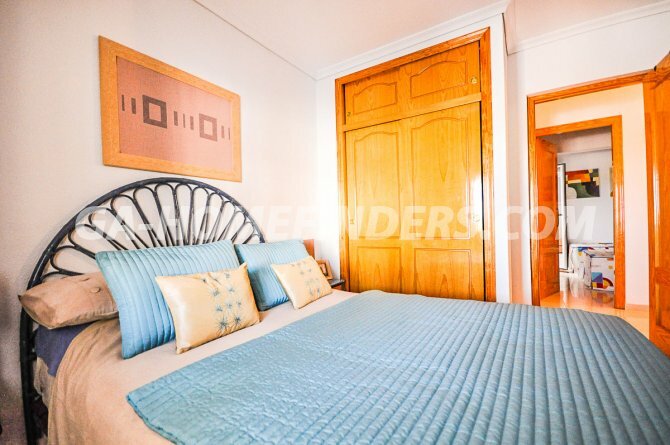 Situated in the upper part of Gran Alacant within walking distance to the shops, bars, restaurants, health centre and the local bus and train stop. 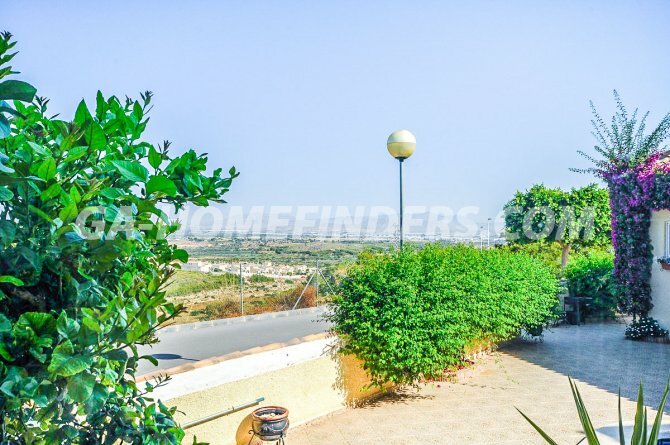 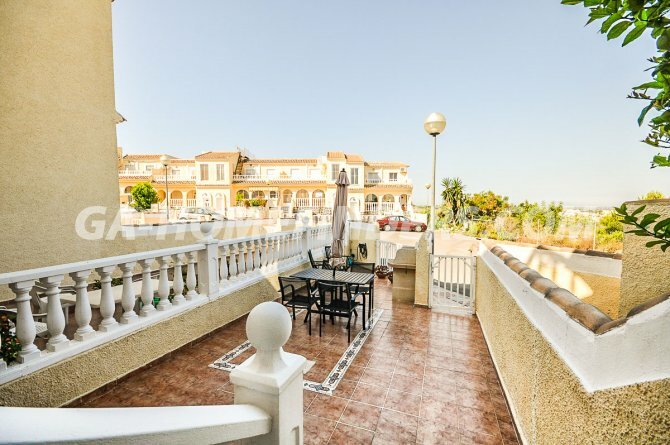 Close to Carabasí beach with all it´s facilities and the nature reserve park Clot de Galvany, only a few kilometres away from Alicante/Elche international airport.